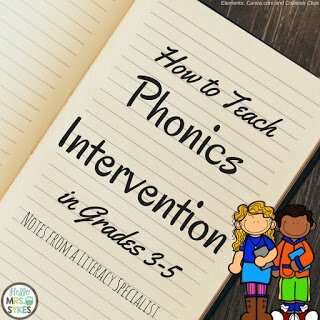 When you have students who are in upper elementary classrooms reading several years below grade level, your phonics instruction needs to be systematic and focused. Today we will look at several students* reading far below grade level, and we will walk through how to address their needs. * All student names have been changed, in case you were curious. Maggie's* story: Maggie is a hard-working 4th grader, entering 4th grade at a 2nd grade reading level. Maggie's parents are supportive, and many interventions were in place last year (3rd grade) for fluency and comprehension. After 6 weeks, Maggie continues to struggle when reading in all subject areas. Both Maggie and her teacher feel like they are banging their heads against a wall. Dominique's* story: Dominique moved into his new fifth grade class from out of state, and his records have not arrived yet. His dad says Dominique received special reading help at the last school, and he has always been a bit behind in his reading. From the teacher's universal screening data, Dominique is estimated to be reading at a second grade level. Dominique's teacher tries everything to help, spending a ton of extra time working one-on-one with Dominique, but she sees so many areas of deficiency that she does not know what to do during their time together. Carmilla's* story: Carmilla's third grade teacher does not know what to do when she learns Carmilla reads on a level D (her school expects Carmilla to read on a level P by the end of third grade). While Carmilla has made great growth (she now reads on a first grade level), she still has huge gaps in her decoding skills, and encountering new words is difficult. What do each of these students have in common? They are reading well below grade level, and have been for years. The answer: we need to dig deeper to find out the underlying issues, then target these areas systematically and with a laser-like focus. Print the Names Test Directions. Print the List of Names. Print the Scoring Sheet (You will need 1 copy per student). Score the assessment. Here's my favorite version to use of the scoring sheet, since it puts the names in the order your students will say them. Use your favorite colored pen to circle the phonetic elements they missed. Tally them up. Analyze the information. Where are most of their mistakes? That is your target area. Honestly - the first time you do this, it *might* take you 10 minutes. After that, you won't need to print new materials, so it will be shorter. 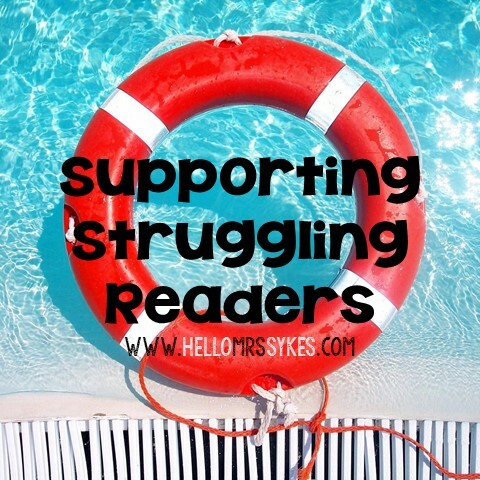 You only do this assessment with your struggling readers, so it doesn't take all day. Now, target your instruction to hit these areas. 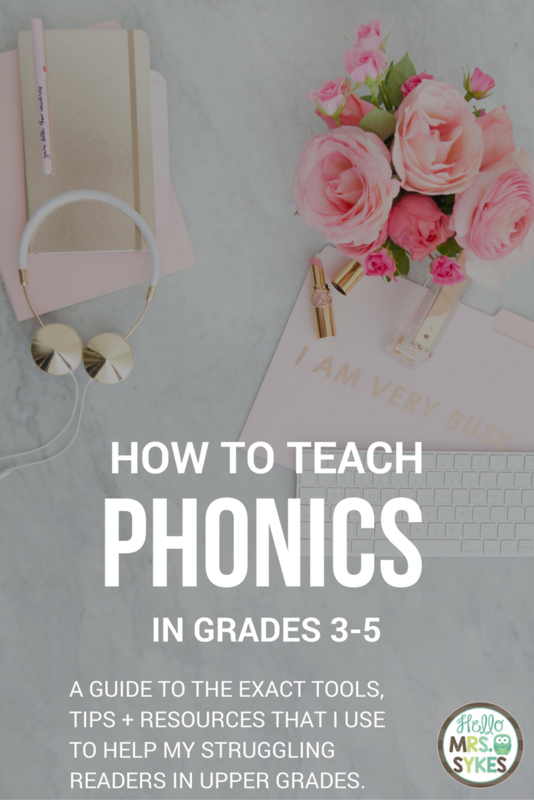 To make it faster, form some strategy groups that you hit several times a week on the phonics skill - vowels, anyone? 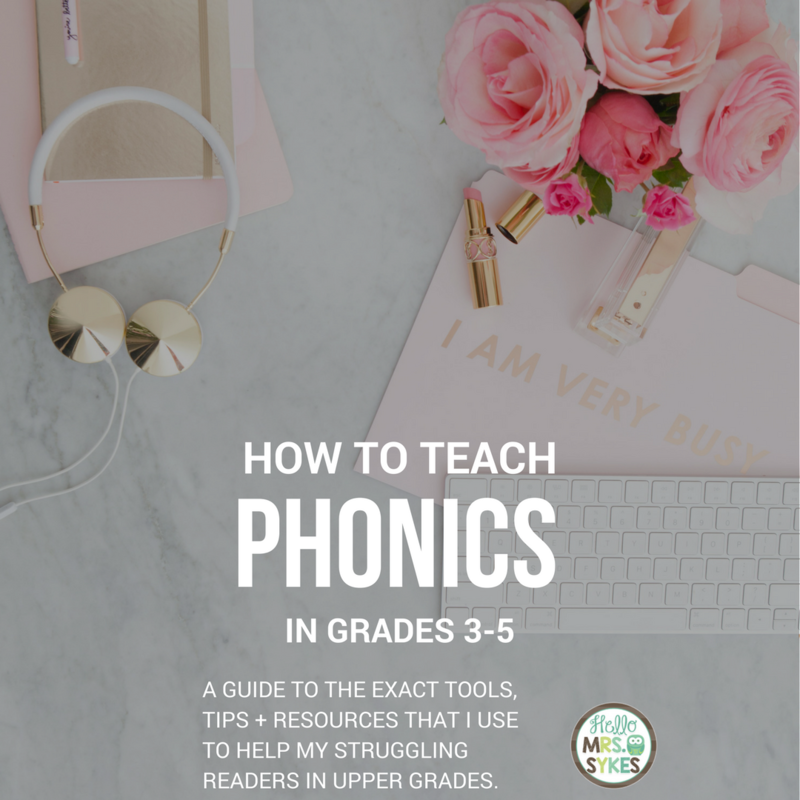 There are tons of resources available for phonics with lower grade students, but you'll need to be sure to alter these to make them more appropriate for the upper grades students. Upper Elementary kiddos don't seem to get excited about cute graphics as the younger ones do, and they might run from the room if you give them a copy of Miss Wishy Washy. 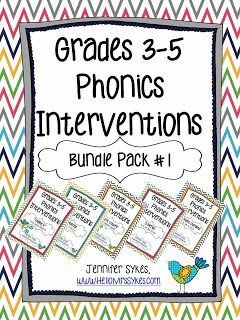 For more resources to help your struggling readers in third, fourth, and fifth grades, please visit my TpT store at http://www.teacherspayteachers.com/Store/Hello-Mrs-Sykes-Jen-Sykes.